Faisal Al Hamlan defeated Khalaf Al Azmi leaving him with a clear lead at 6.5 / 8. 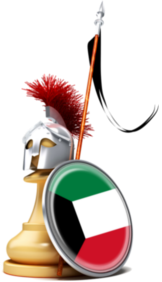 Bader Al Hajeri Luckily defeated Hazaa Al Shurafaa. However, Bader played like a wizard and slowy took back the advantage, 1 square at a time. 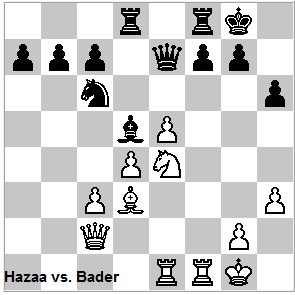 Eventually, Hazaa had a losing position and lost on time. 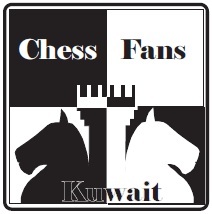 Bader Al Khaldi beat Nasser Al Maqseed and Nawaf Al Azmi escaped from defeat against Taher Al Khateeb when Taher blundered by a disguised tactic which lost him the exchange, rook versus queen. Bader Al Khaldi Vs. Bader Al Hajeri. It is still not clear who will win because the difference between Al Hamlan and Al Hajiri is only half a point. Both players need to win todays game. 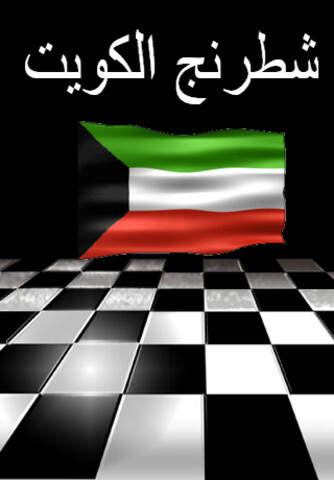 Draws for either player will lose them the Kuwait Chess Champion Title. Pictures will be included in the final report.